It’s the smallest device of its kind ever created. Because photons lack charge and mass, they are an exceptionally secure and efficient medium for quantum data storage, but figuring out how to use single photons for quantum data storage and transmission has proven difficult. Doing so on-chip at the nanoscale had seemed impossible, but the Caltech researchers have figured it out. Their chip is the world’s smallest example of an optical quantum memory device. It was made by creating memory modules measuring 700 nanometers wide by 15 microns long — roughly the same size as red blood cells — out of optical cavities made from crystals doped with rare-earth ions. These ions allowed each module to more effectively absorb the individual photon pumped into it via a laser. During initial testing, the chips were able to store data for 75 nanoseconds before release, with only a 3 percent failure rate. However, in order to be a viable component in quantum networking, the chips will need to be able to retain the information for one millisecond. Fortunately, meeting this requirement is one of the team’s goals as they move forward. They also plan to work out the best way to incorporate their chips into complex quantum circuits. Though already looking ahead to what’s next, the team is pleased with everything they’ve accomplished so far. “Such a device is an essential component for the future development of optical quantum networks that could be used to transmit quantum information,” Andrei Faraon, assistant professor of applied physics and materials science at Caltech and corresponding author of the study, explained in a Caltech news release. “This technology not only leads to extreme miniaturization of quantum memory devices, it also enables better control of the interactions between individual photons and atoms,” added Caltech postdoctoral scholar Tian Zhong, lead author of the study. Caltech isn’t the only organization with researchers working on quantum technology. MIT recently proposed a new way to mass produce qubits, while researchers at EPFL’s Laboratory of Photonics and Quantum Measurements are looking into using graphene to construct a quantum capacitor that can create qubits that are more stable. 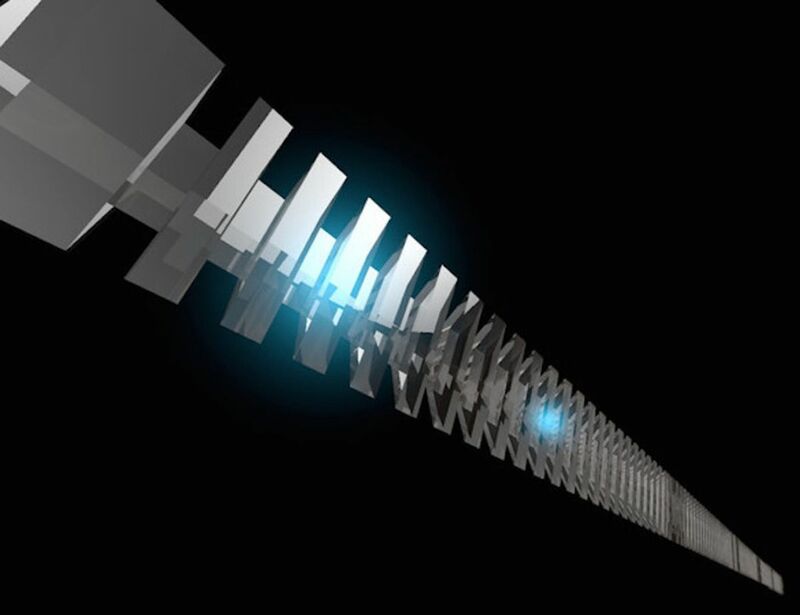 Researchers from the University of New South Wales in Australia have designed an entirely new kind of qubit altogether. That said, the widespread adoption of quantum computers is still far off. Some experts have predicted the devices won’t be consumer-ready for another 20 years or so, and once they do arrive, ensuring they are used for creation and not destruction will present its own set of challenges.